The 21st October was Back To The Future Day. 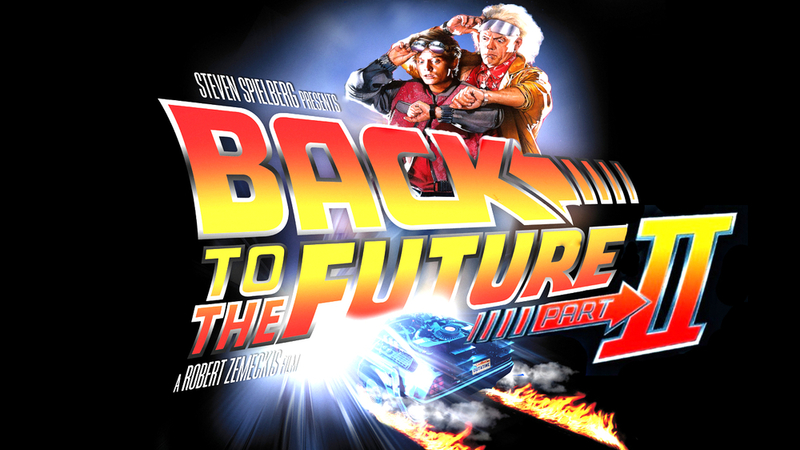 The day commemorated the day when Marty McFly and Doc Brown visit ‘the future’, 21st October 2015 in the film Back To The Future Part II. Whilst the film was a little off the mark with some of their future predictions, there were a few that they got right…or close enough, especially in relation to the technology. Below, check out four futuristic technological advancements from the film that have made it into Apple products! In Back to the Future Part II’s version of 2015, thumbprints are used to confirm payments as well as grant access into a person’s home. Thumbprint recognition was first utilised by the iPhone 5s, becoming a standard feature of each iPhone model since. Thumbprints can be used to gain access into the phone from the lock screen, quick logins to apps and fast payments via Apple Pay and supported apps. Mobile payments in Back to the Future Part II. Apple may not have been the first to integrate multi-channel/split screen technology, but it is one of the impressive features of the Apple TV. Users can also issue commands to their Apple TV thanks to Siri integration, something that was improved upon on the last Apple conference. In Back To The Future Part II, Marty McFly Junior is seen using speech recognition to open up multiple channels on a large flat-screen TV. Well done for getting your TV predictions near enough spot on, guys! Doc and Marty make their arrival into 2015 through torrential rain. Not wanting to get caught in the rain, Doc checks his smart-watch to find out to the exact second when the rain will clear up. Whilst the weather app on the Apple Watch is not that accurate (no to the second reading for us! ), Back To The Future got two things right here. The Apple Watch can be used for various functions other than telling the time, and checking the weather is definitely one of them. "Nobody calls me 'chicken', Needles." When the film was released in 1989,video calls were non-existent. Part II saw the 47 year old version of teenage time traveller Marty McFly using a screen to have a video call with the shady Needles and his boss Mr Fujitsu. Nowadays, video calls are commonplace, with Apple users utilising its FaceTime video call feature, as well as being able to use apps such as Skype for conversations. We hope you all enjoyed Back To The Future Day. How did you celebrate it?